When you are in the kitchen cooking, The last thing you want to deal with is raw or undercooked food. Its hard to know when something is still cooking and already done cooking. Sometimes my stuff cooks too long and it burns a little bit, but at least I know it is done and still edible. 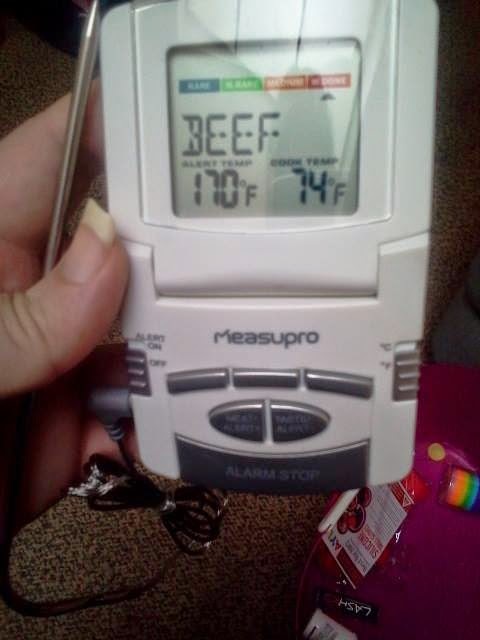 I needed something to tell me that my food was done before it burnt. When I was approved to review the MeasuPro, I was really excited. 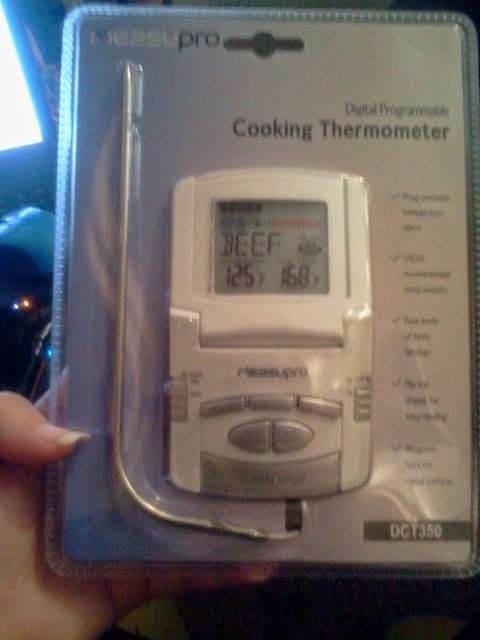 I knew this was what I needed to take my cooking to the next level. Not only would my food be done, it would be taken out before it got burnt on the edges. When I first saw it, I was surprised by how awesome it looks. There are so many buttons and things to learn. 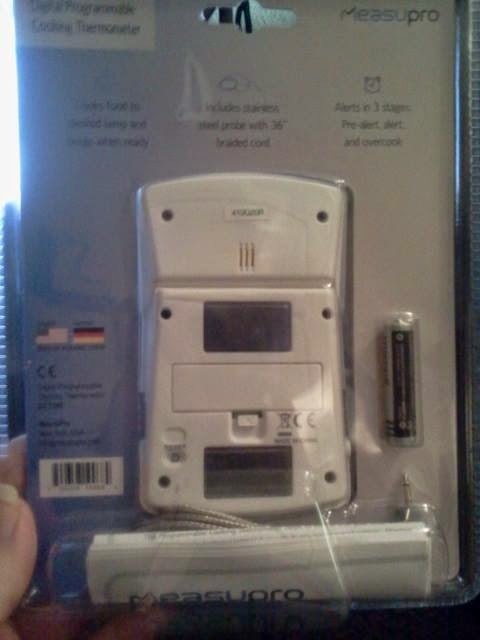 It is a simple looking package and machine, but, there is so much technology included in it. The package was not easy to open but not hard either. I ended up cutting it open with my kid's craft scissors. So any scissors you have, will work to open the package and get this awesome machine out. I decided to make up a batch of meatloaf to try this out. After mixing it up, I placed it in the oven for 45 minutes. 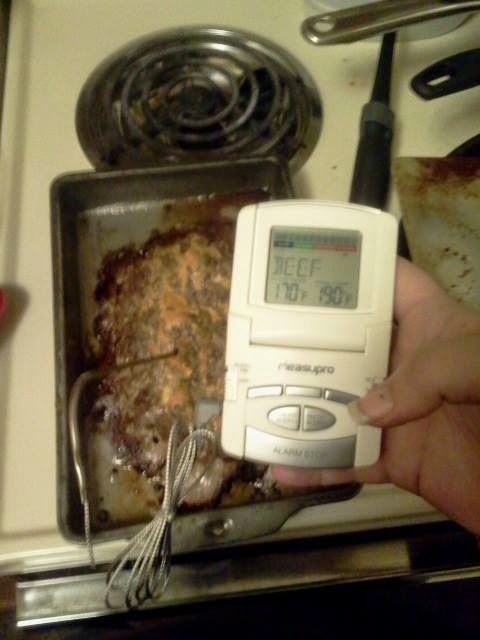 When I took it out, I turned on the MeasuPro and stuck it in the middle of the meatloaf. (after washing it of course). For the first time, I was having the meatloaf my mom use to make. I always burnt it and it ended up not tasting like her's. 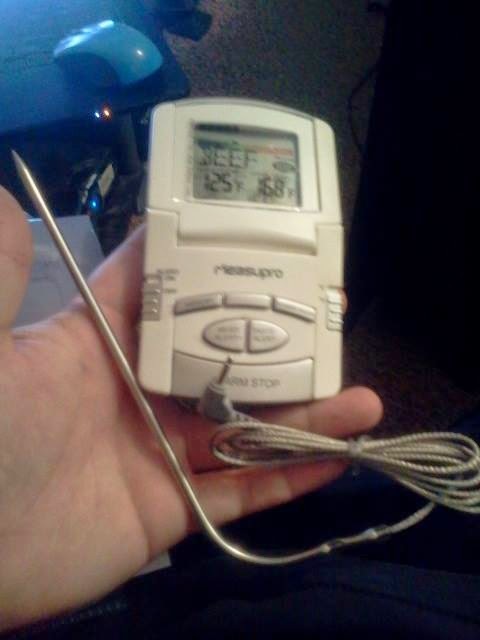 It read the temperature quickly and well. I knew it was done without having to cut into it to make sure the middle wasn't pink. The family all had great things to say about the meatloaf that night. The MeasuPro made me fall in love with it. I'm not sure how I got anything cooked before but I know that everything tastes a whole lot better now! If you want to find out more about the MeasuPro, see what other people think of it, or buy one for yourself, then head on over and check it out on Amazon by clicking here. I received the MeasuPro for free in exchange for my honest opinion. I would never simply give something a good review without testing it out first, free or not.